The unique Avanos MIC* Transgastric-Jejunal Feeding Tube is designed for patients who require simultaneous gastric decompression and jejunal feeding. Available in several sizes to meet individual patient needs.The international kits do not include syringes, lubricant, nor iodine. The unique Avanos Medical MIC* Gastric-Jejunal Feeding Tube is designed for pediatric and adult patients requiring simultaneous jejunal feeding and gastric decompression. The low-profile design is unobtrusive and easy to conceal. Available in several sizes and lengths to meet individual patient needs. 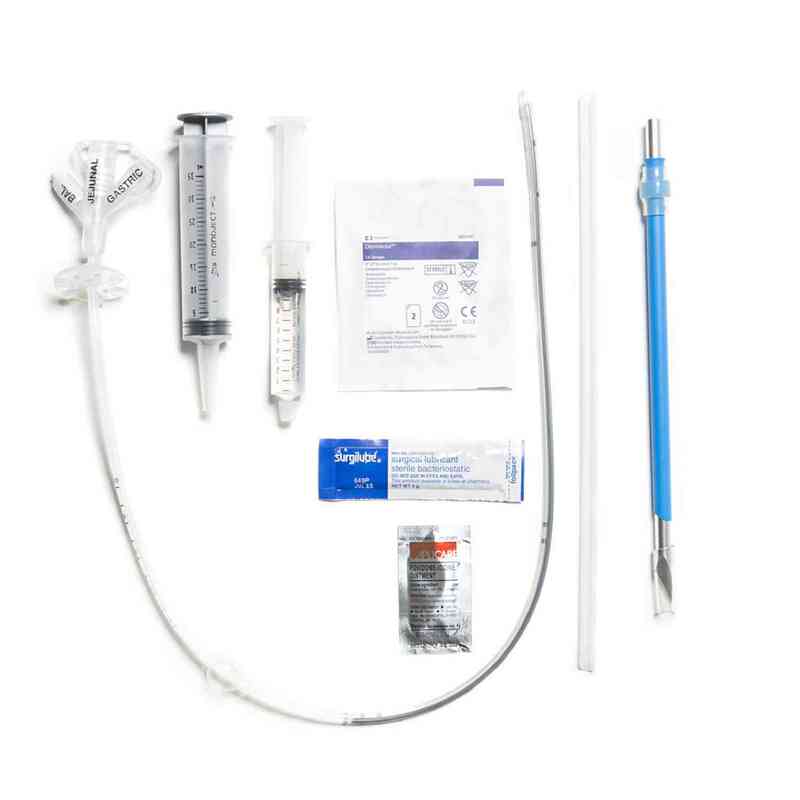 The full list of features in the kit includes: •Abdominal trocar and sheath •Slotted transpyloric cannula •LUER-SLIP* Syringe — prefilled with 10ml water •35ml catheter tip syringe •Water soluble lubricant •2×2 in. slit gauze sponge •SECUR-LOK* external retention ring •Povidone Iodine USP •Directions for use •Post-operative care guidelines •Patient care guidelinesThe MIC* GJ Feeding Tube kit requires a surgical placement. Note: the international kits do not include syringes, lubricant, nor iodine.Please consult a physician before proceeding with this Feeding Tube. Compatible with ENFit® Connector.